This episode features Maria Salamanca, Colombian Immigrant VC, Unshackled Ventures. Maria Salamanca is a venture capitalist at Unshackled Ventures, activist leader and advisor at Swing Left, fellow at Higher Ground Labs and founder at Making a Techie newsletter. She immigrated to Orlando, FL from Colombia at age 7 and attended UC Berkeley and received a double bachelor’s degree in Public Policy and Legal Studies. Unshackled Ventures, a fund that fills a unique space in the entrepreneurial ecosystem, funds teams with immigrant founders at the earliest stage of pre-seed. Maria joined the fund three years ago and has been involved in all 22 investments and has evaluated more than 2,500 deals. In 2018, she was first Latina named Forbes 30 Under 30 for Venture Capital and Business Insider’s Under 30 Rising Stars. 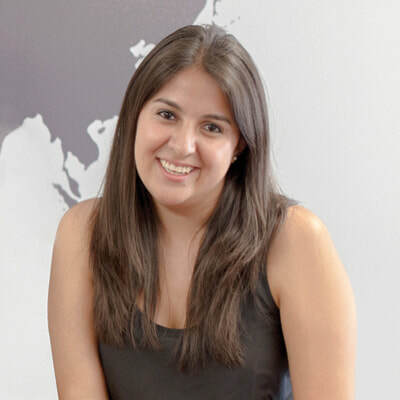 She is deeply involved in supporting the Latino entrepreneurship ecosystem, including being on the committee for the first ever Startup Weekend: Latinx Tech Edition and creating the first list and group of Latinas in Venture Capital. It is this strong support and investment in her community that won her the 2017 California Hispanic Chamber of Commerce Shark of Year. Previous to joining Unshackled, Maria worked at FWD.us an immigration lobbying group founded by Mark Zuckerberg, Bill Gates, Ron Conway, Reid Hoffman and other tech leaders.